It’s almost New Year’s Eve when it can be super fun to have a bunch of different nibblies to enjoy throughout the evening. So how about some stuffed mushrooms! I’ve loved stuffed mushrooms my whole life, but in the past they’ve been filled with cheese and bread crumbs and all sorts of other things which made them less than a healthy choice. Delicious, sure, but not exactly in line with my Paleo lifestyle goals. That being said, they were never the worst thing either. Still a vegetable, right? The other day, I got to thinking how easily they could be made Paleo and how they would still be really delicious. I haven’t finished with the variations either because I think these might be one of those things that are perfect to make during a weekly cook up so that they can be lunch or snacks throughout the week. Pair a couple of them with a big handful of veggies, some carrots and bell peppers, for example, and they’re special and simple all rolled into one. I dolloped a mixture of mayonnaise and Dijon mustard on these which added a really nice creamy kick. I would have taken a picture of it like that except the battery in my camera died after one shot – this one shot – and then I was done. I suppose we could have waited to eat them, but that just didn’t seem right. Preheat oven to 400 degrees. Drizzle a baking sheet with olive oil. Rinse or brush off any dirt from mushrooms. Pop stems out, finely mince, and place in a large bowl. 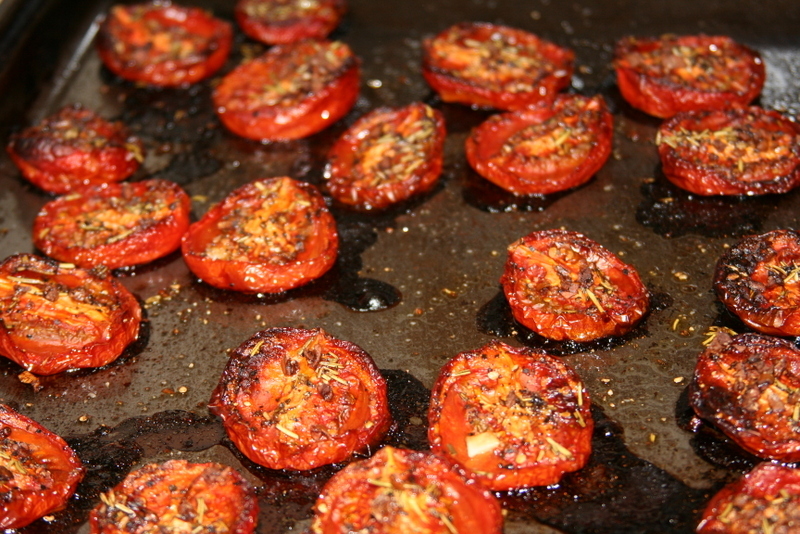 Place mushroom caps on the prepared baking sheet and sprinkle with a pinch of salt. Finely chop or mince the onion and add to the minced mushroom stems. Melt ghee in a large sauté pan over medium heat. Add onion and mushroom mixture, along with garlic, pepper flakes, a large pinch of salt and several grinds of black pepper. Cook for about 5 minutes, until veggies are soft and mushroom stems have released any liquid. Taste and add more salt, pepper, or pepper flakes if needed and allow to cool slightly. Return veggie mixture to the large bowl, add the sausage and mix together well using your hands. Ensure everything is evenly distributed. Take large pinches of the mushroom mixture and stuff into the mushroom caps. 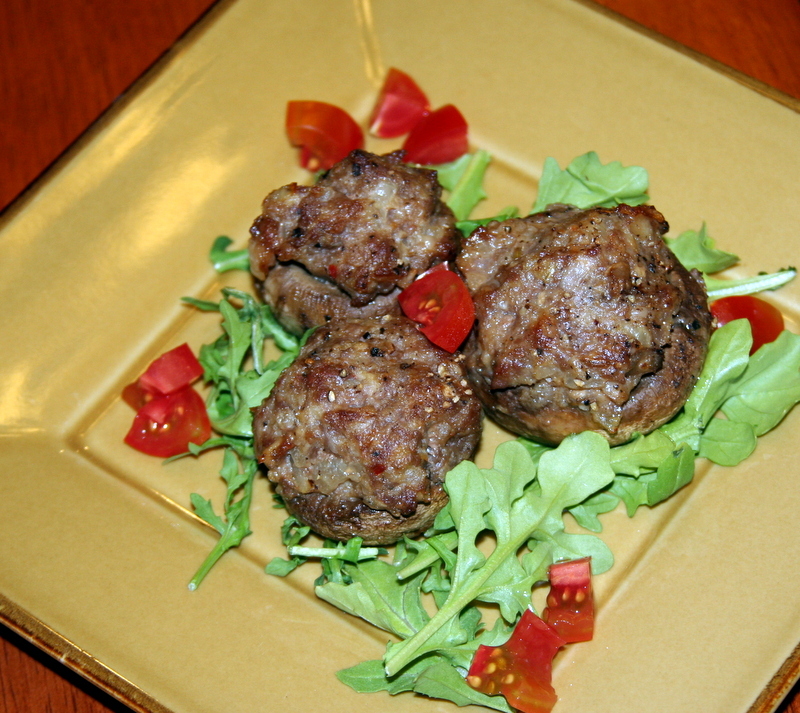 You can have a full, meatball-sized amount sitting on top. Make extra meatballs out of any extra mixture and place on the baking sheet as well. Cook for 20 minutes until slightly browned on top. Add a little sauce and enjoy! It’s officially winter! There is snow on the ground and it’s cold. It seems that in Colorado, summer lingers and even fall stays warm, with a few days of cold to remind us that winter is around the corner. And then one day, it hits and winter settles in for a while. Not like in the mid-west, but enough so that you know it’s time for the holidays to arrive. This year has been a little different for us as a family. We’ve had more official parties and not quite as many spontaneous get-togethers with friends. It’s been busy, sometimes challenging with different schedules, but just in case a friend gets the urge to stop by, I’ve kept some spiced nuts on hand. You never know when someone might pop over and a few nuts and a bottle of wine will be just the thing to take the chill off. It’s really easy to pull out a tub of nuts from the pantry, and I don’t have anything against that at all, but sometimes it’s especially nice to elevate that experience just a little bit. I think it lets your friends know that they are special, that they are worth that extra step, and for this reason, I’ve worked on a recipe that makes everyone feel warm inside, but that is so simple that it can be pulled together quickly. Almost at the last minute. Whatever nuts you like will probably work well here. I usually add cashews to the mix but on picture day, I had run out so pecans and almonds made the cut. There are all kinds of spiced nut recipes out there and I know it can be hard to choose, but I’ve been hooked on these for a while now and find that they appeal to many different palates. The egg white might seem like a strange component, but it’s the best secret! It creates a light, crispy coating on the outside that sort of reminds me of what tempura does to veggies. I think it might be what makes these so special. I hope you enjoy this spicy-sweet combination so much that you share it with friends, family, and maybe even strangers. If you make any changes (I’ve been considering adding something herbaceous next time), please let me know in the comments. I’d love to hear! 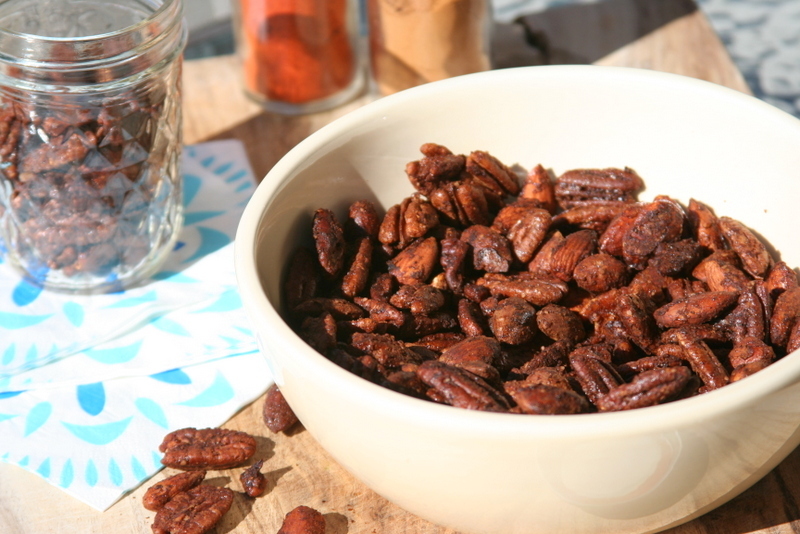 Place nuts in a large bowl. Melt coconut oil in a small bowl and mix spices and salt into the bowl. Pour, or scoop, the spices and oil onto the nuts, including sprinkling the coconut sugar on. Mix well – either using a wooden spoon or your hands. Taste to determine if more spices or more nuts are necessary to make this perfect for you. In a small bowl, whisk egg white until frothy and then add to the nuts. Mix very well. Then keep mixing. You want to ensure that everything is evenly coated. Spread nuts on a large baking sheet covered with parchment paper and bake for 15 minutes. Stir and continue baking for 10 minutes. After about 25 minutes, bake in 5 minute intervals, stirring, until done to your desired darkness. This can vary, but watch carefully as nuts can burn quickly. Remove to a cool place – a bowl or counter. They will crisp up as they cool. Taste, share, and enjoy! Baked eggs are my new favorite thing! Well…favorite might be a bit of an exaggeration. And baked eggs are hardly new, so maybe that initial statement is a little over the top. Truly, though, these are so quick and simple to make that they are right up there with having washed greens and hard boiled eggs as a staple in the fridge. They came about because I like to make something that my husband can have for breakfast that is quick and portable. For a long time now, I’ve made egg muffins or frittatas with various ingredients. Those are great to have on hand too, but there’s something I really like about having a thin layer of meat that holds everything together. I think it looks pretty too. I have made countless variations already and I’ll post some others in time. I’ve used ham, pastrami, prosciutto, and could imagine roast beef, as the bottom layer. I’ve done all sorts of sautéed veggie combos for the middle layer. But for some reason that I can’t explain, I’ve always mixed my eggs with the vegetables before baking. What I discovered, though, is that I love having the egg in its entirety with a tender yolk and the white separating the layers. It’s even faster to make that way, too, so it’s a bonus. Now imagine not having to precook anything. Slice of ham, dollop of salsa, egg, and into the oven. So easy. I preferred these cold so that the salsa was back to an expected temperature, but they were fine hot too. And a sprinkle of cumin or chipotle powder would work well on top! If you experiment with some ingredients, please let me know in the comments. I’d love to hear about the combinations you’ve found that work! 1) Preheat oven to 375 degrees. Grease a muffin tin lightly with coconut oil. 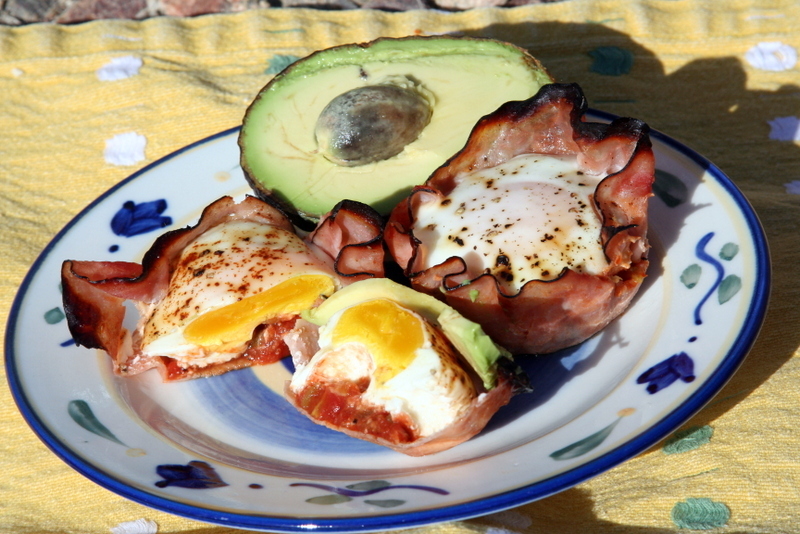 2) Lay 1 slice (or 2 if they are small and you need more coverage) of ham in each muffin cup. 3) Add 1 Tbsp. of salsa in the bottom of each cup. 4) Drop in 1 raw egg per muffin cup. 5) Sprinkle salt, pepper, and any other seasonings on top. 7) Press lightly in the center to check for doneness. Remove from the oven, let cool, and enjoy! 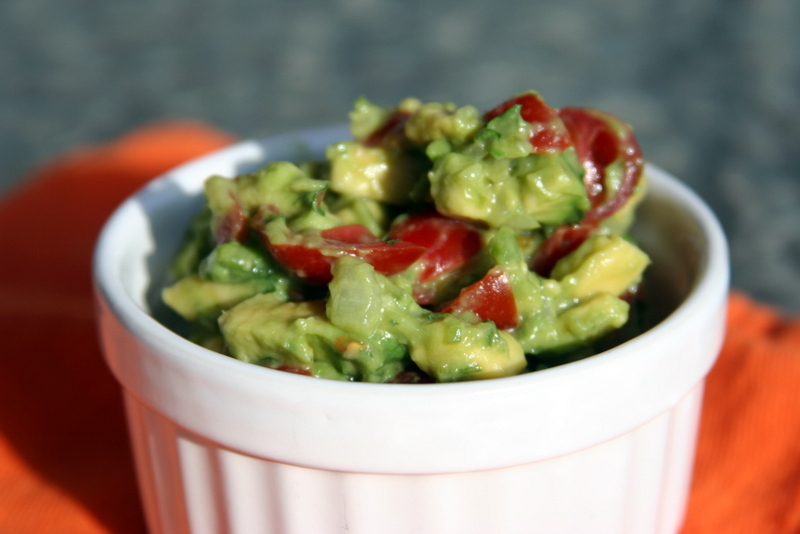 To me, guacamole is one of those foods that doesn’t really need a recipe. In fact, I think that perhaps writing down what you put in your guacamole might even be like putting this fantastic condiment in some sort of food jail. I believe it’s meant to be an expression of the cook, a playful conversation between the different ingredients that you choose to put in, something that can be changed on a whim. It really depends on the flavors of the individual ingredients too. Is your avocado more or less ripe? Is your onion sweeter or spicier? How strong is your garlic? 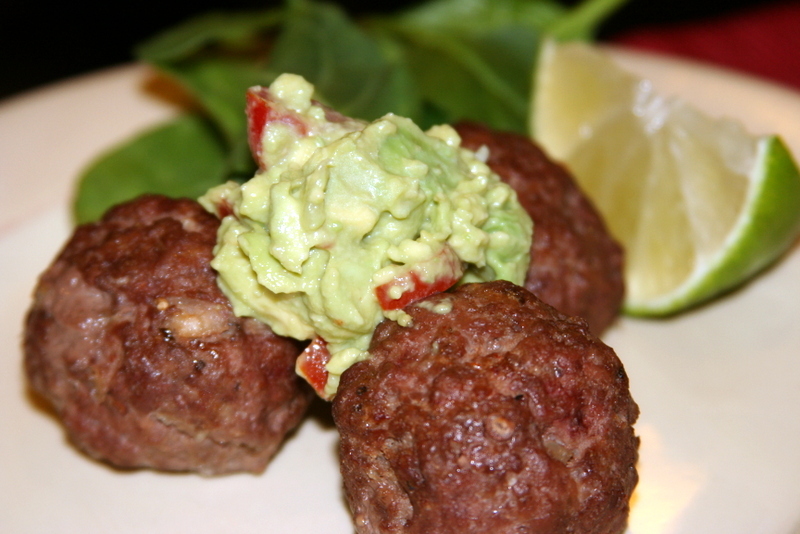 Plus I think it might also be that avocadoes are so incredibly delicious, you have to try really hard to mess it up. At least in my opinion. So go for it! You might even surprise yourself. That being said, a few years ago I was at a friend’s house and she had become somewhat of a guacamole aficionado. She shared a recipe, or rather more of a technique, that had come from her brother-in-law and ever since that day, this has been my go-to guac. I might do something different when the mood strikes – a little more lime, some cumin or coriander, orange or lemon as the citrus component, extra garlic or other combinations that stray even farther from the base – but when I just want a straight-up, no-nonsense guacamole, this one never fails. Thanks, Lauren and Raf! 1) Start by cutting the avocado in half lengthwise. Using a spoon, scoop each half out in one piece and place pit-side down on a cutting board. Cut each half in half again, as if you were cutting at the equator. Then slice lengthwise into very thin slices, 1/4 in. or less. Finally cut the slices horizontally. The goal is to have very small little chunks that hold their shape while also getting a little creamy when mixed with the other ingredients. Put the avocado dice in a medium bowl. 2) Add the rest of the ingredients and mix very gently. Taste to adjust seasonings, adding more lime juice or salt, a little more jalapeno, whatever makes it taste right to YOU. 3) Dollop on everything, use as a dip for veggies, eat next to eggs at breakfast, lick the spoon! A few of you out there might have some hard boiled eggs laying around right now. If you’ve been Paleo for a while, you might even have a constant supply of hard boiled eggs around. Here’s a little something to do with them that is fun, delicious, and super quick. 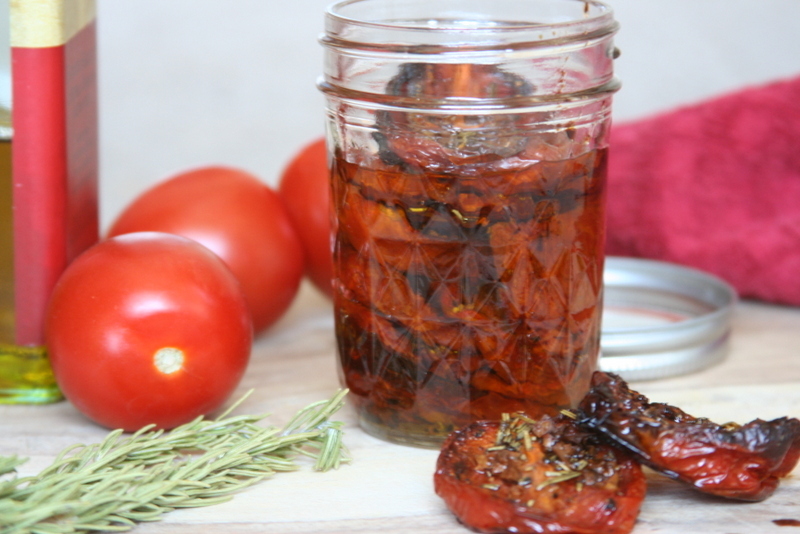 These make an excellent appetizer, lunch, or snack. You can even be fancy and pipe your filling into the eggs, but I used a spoon because it was lunch time and I was hungry! Add more or less buffalo sauce to make these to your spice level and also be sure to use a hot sauce that doesn’t have a bunch of junk in it. I use Frank’s Original because it has peppers, vinegar, water, salt, garlic powder and nothing else. 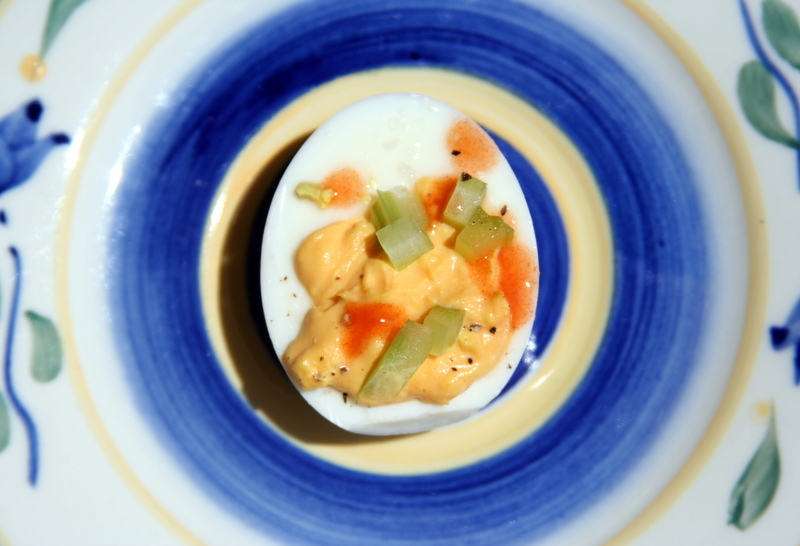 I used 3 eggs here, but this recipe is great for doubling or tripling. Make however many you want because they’re sure to get eaten! 1) Peel and cut hard boiled eggs in half. Pop the yolks out and place in a small bowl. Set whites aside. 2) Add mayonnaise and hot sauce to the yolks and stir to combine thoroughly. Taste and add more hot sauce to taste. 3) Spoon or pipe filling evenly into each egg half. Plate and sprinkle with celery dice and black pepper. If you haven’t yet explored the Primal Life Kit that is on sale this week, take a moment to check out the amazing bundle of products that’s been put together. 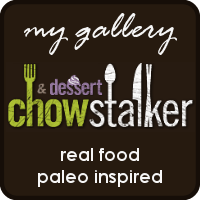 It has so much stuff that can help you start on your Paleo journey or help you through a rough patch. It’s really awesome! Disclaimer: In the spirit of full disclosure, this is an affiliate link, which means that I may get a commission if you decide to purchase the Primal Life Kit. It’s an incredible bundle from some spectacular people, so I know you’ll be in good hands.